No-cream no dairy pumpkin soup, anyone? 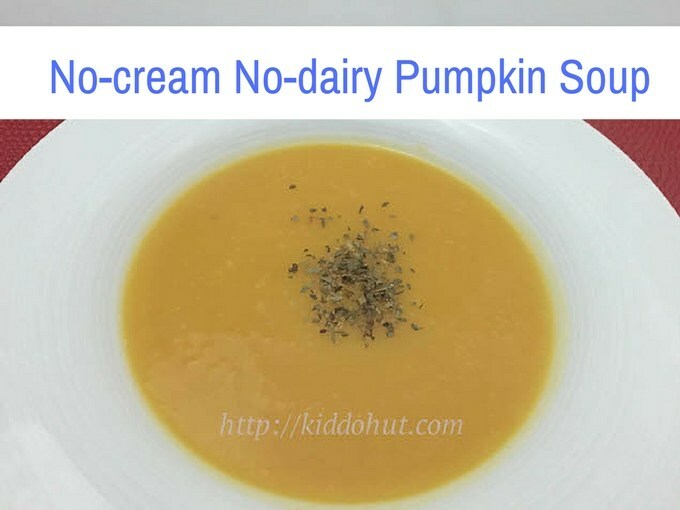 This recipe is especially useful for people who happened to have some pumpkin but no cream at home, who are lactose intolerance, or simply dislike soup that is too creamy. So, without cream nor dairy, what made the soup still looks and tastes creamy? … Potato, a starchy food, is the key. 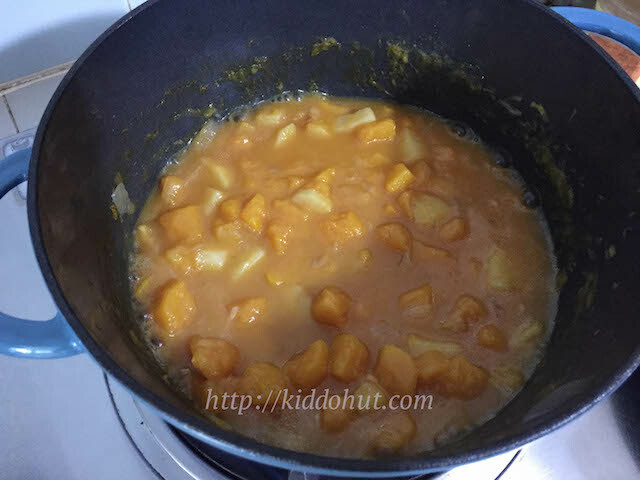 This recipe uses simple and easy ingredients, mainly pumpkin, potato, onion and chicken broth. Of course, you can try replacing pumpkin with carrot, more potato, sweet potato. Frankly, there is nothing much to write about this soup. 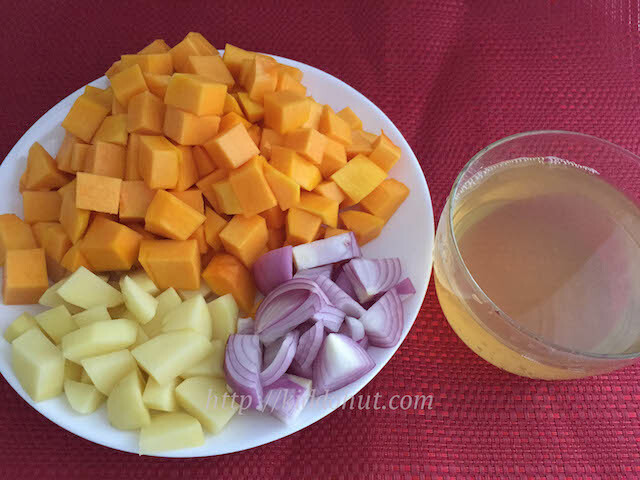 It is very simple and fast to prepare this soup. You just need a pot and blender or food processor. If you do not have the latter, you just need a fork, as easy as that! Shall we cook it now? 1. Heat oil in the frying pan. 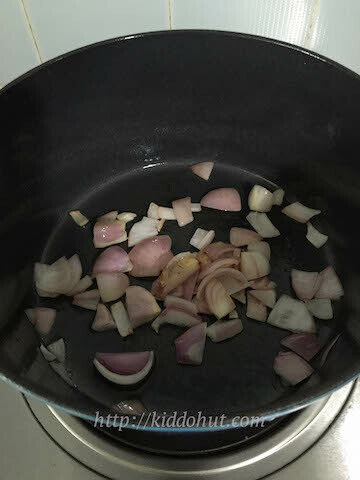 Add onion and fry until clear. Add ground cumin if prefer spicier soup. 2. 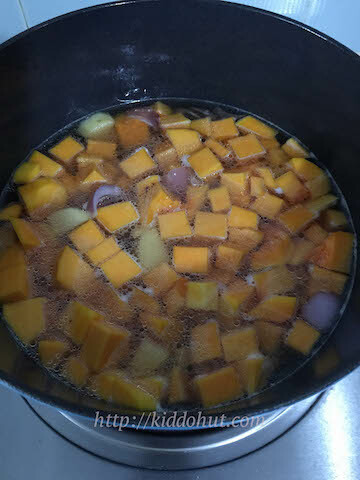 Add pumpkin, potato and soup stock. Cover and bring to boil. 3. Cook until the vegetables are soft. 4. Puree the vegetable mixture in a food processor / blender or push them through a sieve. 5. Season with pepper and salt to taste. Sprinkle some bay leaf flakes. Serve.